The Tregothnan estate in Kent and Cornwall is home to the only tea grown in England. 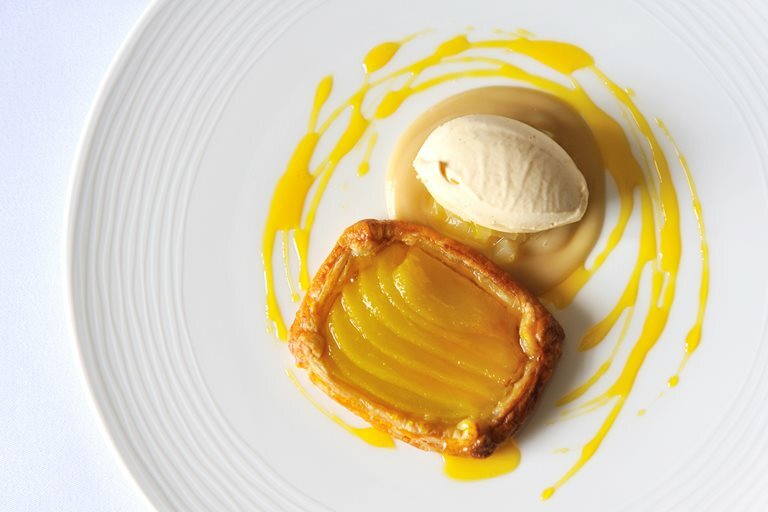 Its Earl Grey blend makes a wonderful smoky, sweet ice cream which gives this pear tart recipe a real difference. Nathan Outlaw does have the advantage of being down the road from the estate, but if you can't get hold of this specific tea, a good Early Grey will work fine.